I was nervous during my 20 minute drive to Whistling Straits. It was easily my most heavily anticipated round of golf on the trip – not to mention the most expensive. When you’re paying $360 greens fees, plus caddie fee, plus gratuity, it’s hard not to feel like there’s a lot riding on the round – this doesn’t even factor in the sky high expectations for the course. On my drive over it was foggy and raining – not off to a good start. I pulled up and soaked it all in on the quarter mile drive up to the big stone clubhouse. I’ve never been to Ireland, but this has got to be what it feels like – right down to the bad weather. I met my caddie Keith and headed to the range to hit some balls. 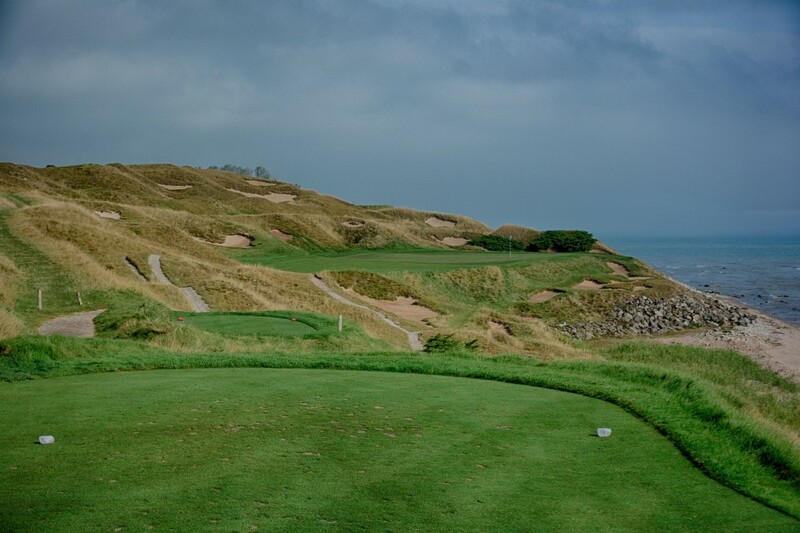 There are few courses that have the mystique of Whistling Straits. Pebble Beach is one. Augusta National another. But essentially Whistling Straits is a bucket list destination. It’s something you have to do at least once if you truly consider yourself a golfer. Yep, it was a dark day indeed. Opening in 1998 and designed by Pete Dye (like all of the other Kohler Courses), nearly 7,000 truckloads of dirt were brought in to recreate the feel of a traditional Irish Links style course. Before being built the land was an abandoned airfield and completely flat – which is absolutely astonishing once you’ve seen how the place looks now. The course hosted the 2004 and 2010 PGA Championships and is set to host it again in 2015 – along with the Ryder Cup in 2010. So already the course has some history to it, despite only being around for 15 years. 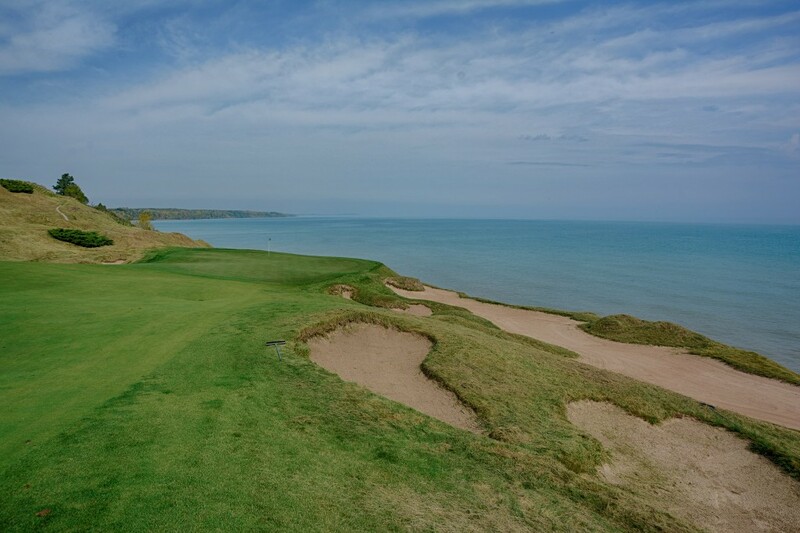 My rounds at The Bull, Meadow Valleys and the River course during the previous two days were absolutely gorgeous – but that didn’t fit my expectations for what Whistling Straits should be. I felt like there should be fog and mist – and that’s exactly what I got for the first 4 holes. We arrived at the first tee and you couldn’t see 100 feet in front of you. This is where I started to get nervous. I paid all of this money and have been wanting to photograph the course for years, and now I might not be able to get a single decent shot? A golf vacation nightmare – but one that had a happy ending. At this point we can’t see anything and are solely relying on advice from our caddies. I let one rip and as far as I could tell it went straight – something that would be vital if I was going to have any success on this course – it’s called the “Straits” course for a reason. FYI you can totally play in fog like this. A mid length par 5 at this point I was just taking my caddies advice and doing my best to hit it where he told me to. This was the first hole where we started to get a sense of some of the scary (and unique) bunkers that were on the course. Guarding the green is a deep and very narrow sand trap that looks practically impossible to get out of. Don’t miss left on the approach – I’m pretty sure there was a lake over there. This was just a taste of the bunkers to come. Ah, there’s the lake! The fog thinned out for just a couple minutes allowing us to see a bit of Lake Michigan and the green in front of us. The first of 4 world class par 3s. This held true on the #1 handicap hole on the course, the long par 4 4th. I hit a solid drive, but then ended up off in the fescue to the right. An ugly lie gave way to a few more ugly shots and I was beginning to understand part of what makes the Straits Course so menacing. Pete Dye famously added a mount to the right of the back tees to cut future players from bombing it over the lake and hitting sand wedge into the green. It’s been called gimmicky, but frankly I really enjoyed this hole. Your 2nd shot forces you to decide how much of the hole you want to bite off or if you should try and clear the lake and go for it. The green on the par 5, 5th hole. I was thinking the bunker on the 2nd hole was pretty scary. Nothing could prepare me for the deep and narrow bunker that broke the 2nd green in half. It was easily one of the most intimidating approach shots I hit on the course. I don’t care where you hit it, just don’t hit it in there. The dividing bunker on the green looks much more tame here – believe me. Due to the fog early on, this was the first hole where I truly sat back and said “wow, now this is a golf hole.” About as close to the banks of Lake Michigan as it gets, this is one aspect that sets Whistling Straits apart from say Arcadia Bluffs or Pacific Dunes. While those courses have amazing clifftop vistas, none of them get right down on the water like some of the par 3s on the Straits Course do. Looking at this tee shot from the back tees is utterly terrifying. You cant see the fairway, but you can see dozens of bunkers – and to even get the ball in play, you’ve gotta clear a lot of bunkers. It isn’t quite as intimidating from the green tees, but with a ton of bunkers and a stout 413 yards to the green, this was one of the most difficult holes on the course. The green hanging off the edge of the earth is also one of the coolest on the course, although not quite as dramatic as 13. The 9th swings back by the clubhouse and this downhill par 4 gives you a great view of the traditional looking stone structure hovering above the green. This was one of the most memorable holes of the round for me as I drained it from about 30 yards out for birdie. Those are the kind of shots you want to have when playing the #2 public course in the country. Easily my best drive of the round, it can be tough to tell exactly where you’re supposed to be hitting it here. If you can stay left center of the fairway, you should find yourself in a really favorable position as this hole seemed to play even shorter than the 320 yards on the card. The tee shot on 11 feels a lot like the tee shot on 8 – lots of bunkers to the right. Scarier than those however is the 12 foot deep wasteland of a bunker that’s protecting the green. This is one place you definitely don’t want to be. It took one member of our group about 6 shots to finally get it out, and the first 5 weren’t bad shots by any means – they all hit about 6 inches below the lip and rolled back down to the beach. Don’t be a hero. Lay up to the left if you’re thinking about going for the green on this one. Another bunker you do NOT want to be in. My favorite par 4 on the course. A dogleg right with various bunkers and waste areas all along the right. I guess you can’t even call them bunkers. 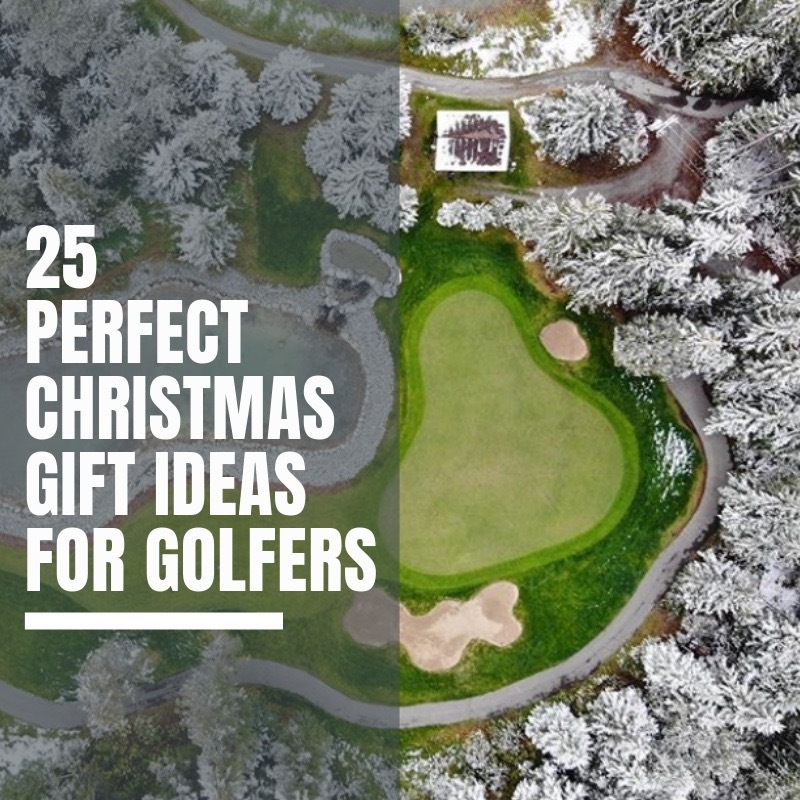 They are harder than a regular bunker, and you don’t have to rake them. Generally I found them to be pretty easy to hit out of as long as you can pick it clean. The way the fairway winds around and down to the right to a green hovering above the lake is truly spectacular. Not my absolute favorite par 4 of the year, but easily top 5. I couldn’t even tell you a whole lot about this hole considering I was totally preoccupied by the 20 or so sheep that joined us in roaming the fairway. Pretty cool touch and something that definitely added to the feeling that we weren’t in what was once an abandoned army bombing range. I do remember it being relatively short, and one of the easier holes on the course, however. A pretty straight forward long par 4. Nothing too crazy here. Opposite of many of the wholes (8, 11, 13) on 16 you don’t want to go left on your tee shot. On top of that you really don’t want to go short on your apporach (like I did), you’ll find yourself with a steep, blind approach shot that thats guaranteed to have a bad lie. The final in one spectacular quartet of par 3s that the Straits Course offers. “You can go find your ball if you hit it down there, but I won’t be joining you. The conversation Keith and I had about what happens if I miss the green left. Soak this hole in and hope for a good score, because you’ll need it heading into 18. I played well at Whistling Straits. I hit fairways, and because of that really didn’t find it to live up to it’s reputation as one of the most difficult courses in the world. Or at least that’s how I felt until I got to #18: “Dyeabolical”. I must have hit every hazard on this hole. It’s a bit of a maze and for much of it you aren’t entirely sure where you should be hitting. All I had to do was double to break 90. Aaaand I ended with a quadruple bogey. Not exactly the spectacular finish I was hoping for. Also slightly disappointing were all the bulldozers to the right that were preparing for the 2015 PGA Championships. Dustin Johnson’s famous bunker? Soon to be gone, if it’s not already. They are tearing out that hole area to make room for corporate tents. This is where Pacific Dunes was far and away better. It’s about the golf there – not the money. I’ve had a few people ask me if Whistling Straits was worth the money. The answer? Absolutely. Yes it’s anything but cheap, but it’s a fun course and is one of those rounds that you’ll talk about for the rest of your life? That said, would I pay it on a regular basis? No. I thought the River Course was just as much fun (although completely different), and while still not cheap, it was a lot less than the Straits Course. All of the courses and facilities at Kohler are first rate, and you’ll have a fantastic time. The only big complaint I have (price aside) is the fact that it’s crowded. Everything felt a bit like I was herded through – it really is like Disneyland for Golfers.. At Bandon for instance (which is the most similar resort I’ve played), everything feels more relaxed, and more golf centric. Two totally different experiences, both totally worth it. I have to admit, I thought this was the toughest course I ever played and I’ve played the Black many times. This course was frightening. There is nowhere to miss. I enjoyed the River course far more which isn’t easy of course but much more fun. Also, as spectacular as the par 3 are, they seemed redundant. Its the same hole 4 times, twice with the Lake on the left and twice with it on the right. But you are right about 8. I had no idea where to hit the ball. And then with the dropoff to the green. Geez. I actually hit a good drive but of course it landed in a bunker. There is just no place to hit the ball on this course. It is a course for pros.